As Europe’s leading Consumer and Shopper Behaviourist, Ken Hughes blends his vast expertise in consumer psychology, social anthropology, behavioural economics and neuromarketing to answer the question to which he has dedicated most of his career: Why do shoppers buy and how can we make them buy more? Voted best speaker at most conferences he has the honour of being invited to attend, it is for his international career as a keynote speaker he is most famous. 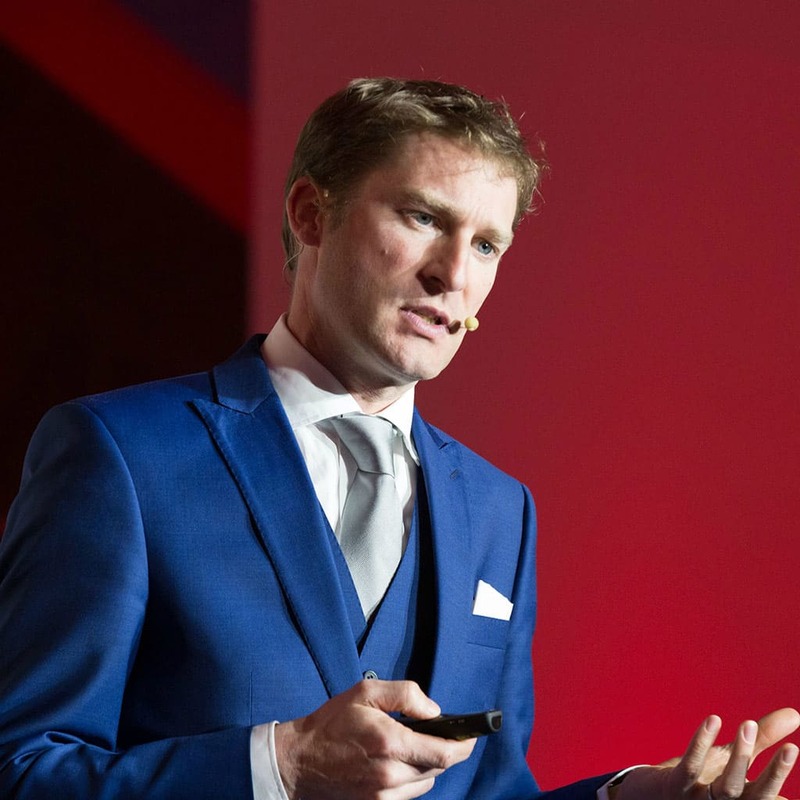 His keynote speeches deliver thought disrupting and inspiring content in a captivating and highly energetic manner, all served with a generous helping of Irish wit. – The Shopper and Consumer blueprint has changed thereby impacting on their fundamental behaviours, needs and requirements as shoppers. What are the implications for your business and what do you need to do to survive? – This generation are less interested in buying ‘things’ and far more interested in having ‘experiences’. How can we use our brands to deliver the kind of life experiences this generation expect, and add real value within the new emerging ‘Sharing Economy’? – If peer networks have overtaken the brand’s own voice in terms of relevance, how best can we build conversations with our target market in the future? – Why do the shopper behaviors of habit and routine block incremental sale? – How can Positive Disruption engage shoppers in-store encouraging them to consider impulse sales? – Learn why shoppers react when we communicate across multi-sensory platforms, and why experiential retail is the future, for all retailers. – Learn how shoppers think, how they behave, how they make their decisions and how to influence those decisions. – What can we do inside our stores to change shopper behaviour and sell more? – See how an understanding of the psychology of decision making can unlock more sales opportunity than traditional sales and marketing methods. – Learn why Shopper Centricity is no longer a choice for consumer goods organisations but an ethos to embrace. – See how Shopper Marketing finally delivers the win-win that Category Management and Trade Marketing never did. – How the very DNA of the shopper has changed in terms of their expectations around product delivery, and what this means for the future of Supply Chain. – How businesses must prepare themselves for the consumer demand of personalisation, and what implications this has on Supply Chain. – How Supply Chain is pushing past an invisible support function into the limelight of product and customer experience. – Learn why routine and a fear of failure encourage organisations to play it safe and never reach their innovation potential. – See how play and risk are the true catalysts of personal and professional change and why we should do much more of both. – Understand why corporate innovation requires personal eureka moments and how organisations need to encourage a sense of personal play.